More than 15 years in facial aesthetics. Always among the first in New England with expertise in the newest facial fillers and products. A destination doctor: her patients travel from across the United States, South America, Europe, Asia, and the Middle East to see her. The doctor’s doctor: many other medical professionals choose Dr. Onir for their own treatments. Known for her aesthetic eye, caring approach, and unequaled results. Dr. Onir (pronounced “oh-near”) has years of experience in facial aesthetics and treats some of the most recognizable and famous faces. Dr. Onir started her career in oral health, earning doctorate degrees from both New York University and Boston University. She has been the recipient of numerous awards for her cutting-edge medical research as well as her technical skills in dentistry. After a decade in practice, Dr. Onir focused on her passion for facial aesthetics. 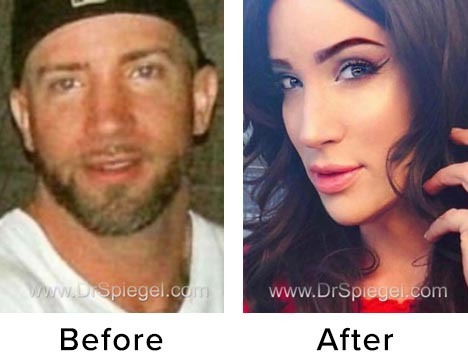 She has combined Dr. Spiegel’s innovative methods with her own careful eye for detail and gentle technique to provide outstanding results with BotoxTM, DysportTM, XeominTM, Restylane LTM, LyftTM, DefyneTM and RefyneTM, Juvederm UltraTM,and Ultra PlusTM, VolumaTM, VolbellaTM, RadiesseTM, SculptraTM, KybellaTM, and other facial injectables. People rave about Dr. Onir’s enthusiasm and beauty insights. Don’t be surprised if you find another doctor shadowing her, as other medical professionals seek our Dr. Onir to learn the most contemporary and advanced methods for office based facial aesthetics treatments. She is a practitioner of The Spiegel System for facial injectables, providing naturally beautiful results. Dr. Onir has extensive experience in improving complex problems such as “gummy” smile, headaches, “golf ball” chin, and facial asymmetries. She’s also refined Microneedling to help correct aging, scarred, or acne pitted skin. She’s a master at designing a custom regimen to keep you looking strong, energetic, and beautiful for years to come. When you are with Dr. Onir, you can relax. You are in the best of hands.